Mumbles Cricket Club is fully committed to safeguarding and promoting the well being of all its members. Mumbles Cricket Club believes that it is important that members, coaches, administrators and parents/carers or guardians associated with the club should, at all times, show respect and understanding for the safety and welfare of others. Therefore, members are encouraged to be open at all times and to share any concerns or complaints that they may have about any aspect of the club with the Club Welfare Officer, or any member of the Management Committee. All members must play within the rules and respect officials and their decisions. Juniors and parents of juniors representing the Club in matches must sign, and comply with the “Chwarae Teg” Fair Play Code of Conduct. Where members use or borrow equipment provided by the Club, they must return it to the coach in charge at the end of the session. Under no circumstances should members use equipment without the permission of the coach in charge. The practice nets may only be used when supervised by a qualified coach, or authorised person. Participants must comply with the Net Management Code of Practice. Junior members are not allowed to consume alcohol or drugs of any kind on the club premises, or whilst representing the club. Queens Road Surgery. 49 Queens Road, Mumbles. SA3 4AW. Telephone: ( 01792) 368276. 1 mile. 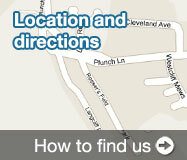 Directions: Leave the ground, turn left onto Plunch Lane, and proceed along Plunch Lane and Higher Lane. Turn right at Langland corner into Langland Road. Turn right at the traffic lights at the junction of Langland Road and Newton Road. Take 1st right turn into Stanley Street. Then 1st into Queens Road. Surgery is immediately on the right. Who do we engage with? Who should we engage with internally? e.g. players, parents, coaches Do we currently? (Yes / No) How regularly? Is this engagement one way or two ways? Do we engage effectively? Do we understand the impact we are having? Any improvements we could make? Players Yes Several times a week during the season, at matches, formal and informal practices, as well as socially. Less regularly during the winter months. Two Way. The Club encourages open dialogue with players, and listens to their concerns and aspirations. Club Officers and Committee are ever present and freely interact and engage with the players. In playing terms the Club is successful, which bears testament to the impact we are achieving. Moral amongst the players is high. 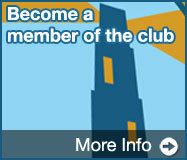 Continue to encourage players to join club’s social media Facebook page, and Twitter account to enhance communication. Volunteers Yes Constant with Volunteers who assist with the ground, bar, catering, or juniors. Two Ways Engagement is effective. By and large the impact is reflected in the smooth day to day operations evident at the Club. Ensure volunteers on match days are aware of their responsibilities with respect to Emergency Procedures, and Incident Reporting and Recording. Parents Yes Junior Coaches are in regular contact with parents by e mail and text during the season. The Club will e mail parents updates on social events Two Ways Yes Identify parents that might assist with coaching and scoring.Request all parents to join relevant ‘Whats Ap’ group to assist communications. Local Schools Yes At the start of the season with primary schools in our catchment area, promoting the Club’s coaching programme, and Kwik Cricket Festival. Two Ways Our impact on schools is measured by their response and attendance at our Local Kwik Cricket Festival, and which schools we draw our junior members from. Also from the number of schools booking the club’s facilities for social functions. We would like to improve our school links by holding more cricket sessions in local schools. This is currently constrained by the availability of our coaches. Businesses Yes Regularly throughout the year. 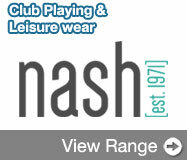 Encouraging businesses to support the Club through advertising and sponsorship of shirts, games, match balls. Two Ways Engagement is in person. The Club has a specific sponsors package. Proven to be effective due to the number of sponsors the Club has. We are constantly seeking to increase our links with the business community. We are endeavouring to improve the quality of the match day experience for sponsors. 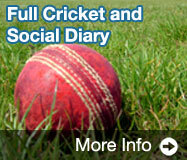 Community Groups Yes Community Groups receive regular e mail updates on Club’s cricketing and social programme. We also advertise the Club’s facilities that are available for hire. Two Ways Yes successfully, we work proactively with a host of community groups. The Club is used extensively by a variety of community groups for meetings, functions and events. Extend the months the Club is open and available to Community Groups. Cricket Leagues Yes Monthly Two Ways The Club has a representative on the Management Committee of the South Wales Premier, and Junior leagues Cricket Leagues. We also attend Meetings of the South Wales Cricket Association. Continue to monitor developments with Leagues. We recognise the need to reduce bureaucracy and administration for our volunteers e.g. maximising the use of new technology, influencing leagues etc. Ground. Improving drainage a long term goal. Our Club Purpose:What are we trying to achieve? Improve performance of senior teams/players, and quality of club practice sessions. Increase the number of volunteer coaches in the Junior Section. Enrol – 2 x identified volunteers on ECB Certificate UKCC Level 2 Course. 2 x volunteers ECB Support Worker Course. Apply for Community Chest Funding. Purchase mobile net cage. Prepare grass practice strips. Do your objectives all contribute to your club’s purpose? An equal balance of activity and resource must be put into the social, environmental and economic elements of any cricket club in order to improve its sustainability.